One of the questions that people always have for me is ‘Where can I find short term accommodation in Perth for when we first arrive?’. 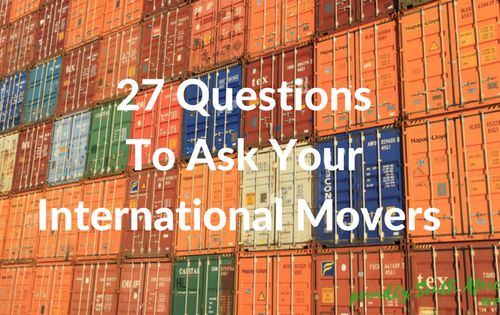 If you’re shipping all your belongings, it makes sense to hire a furnished rental until your goods arrive and you’ve found a place of your own to move into. I recommend renting first as well so you can suss out different areas before you decide to buy. Things look very different in real life to Google Maps – believe me! 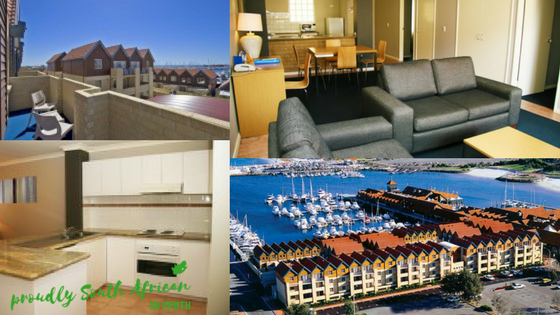 Short term accommodation in Perth is ideal for new arrivals. It gives you time to get to know Perth and the different areas. It can be expensive to rent just for a week or two but often if you take furnished rentals you can get a bigger discount as the owners know their properties will be occupied for longer periods. This doesn’t always apply during peak periods such as the summer holidays but it’s always worth checking before you book anywhere. 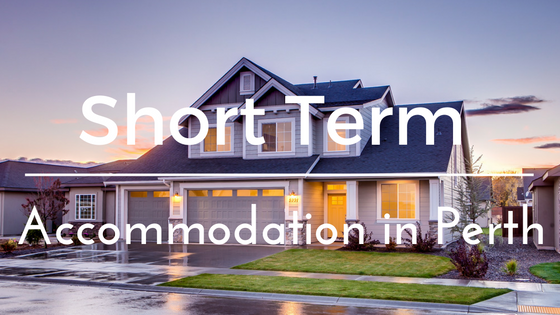 There are lots of options when it comes short term accommodationin Perth but I’ve compiled a few options for new arrivals to Perth. Some of these properties are owned by South Africans who understand exactly what you are going through as a new migrants, having done it themselves at one point or another! They’ve created cosy, welcoming and functional homes to help you settle into life in your new home country of Australia. This family home would be perfect for a family who has recently moved to Perth and wants to get their first step on the rental ladder. 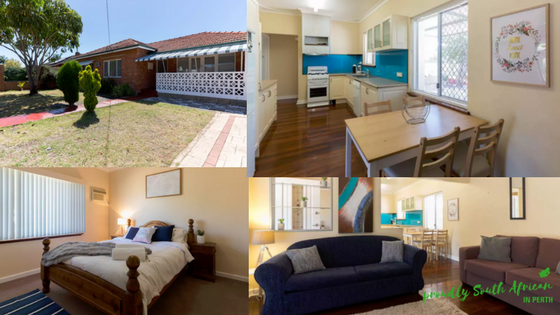 Located in The Brook at Byford, there is a Coles, petrol station, primary and secondary school nearby. The home has 4 bedrooms, 2 bathrooms, and a double garage, and sleeps 5 comfortably. The property is semi-furnished so there is some basic furniture included, so if you haven’t brought much with you, or just need the basics to get by for your first few months, this property is ideal. There is an easy-care garden which is fully fenced and has an artificial lawn – no mowing required! It also has aircon, a dishwasher and an outdoor table and chairs. Rent is $360 per week, with no bond and no 100 point check required. Owners Carl and Melissa are migrants themselves and want this property to help new arrivals find their feet. Email them at carl.melg@gmail.com to find out more and book this house. 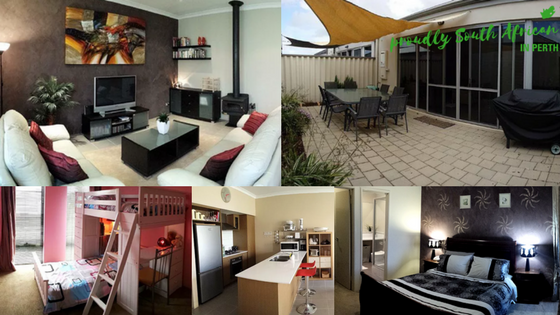 This Ellenbrook apartment sleeps up to 6 people – just a short drive away from the beautiful food and wine region of the Swan Valley and easy commuting distance to the city. It’s adjacent to a park and has a balcony overlooking Lake Fresca. Prices start from $101 per night and the owner offers weekly and monthly discounts too so ask for their best prices for the length and dates of your stay. Ellenbrook has a busy centre with all the shops and facilities you could need including doctors, dentists, a library, schools and more. Book this apartment online via Airbnb here. Owned by the same landlord as the above apartment, this similar apartment also sleeps 6 in 2 bedrooms and has all the modern amenities one would expect. You can book online via Airbnb but get in touch with the property manager, Eva, if you have any questions. Prices start from $101 per night but as with the apartment above, there are long term discounts available too. 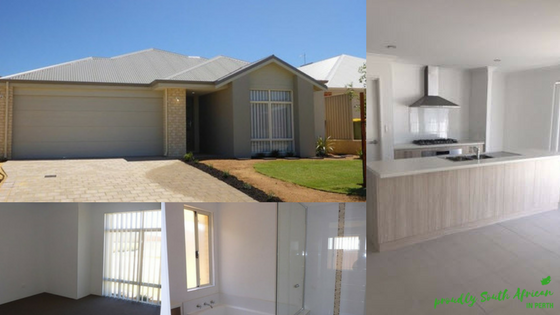 Ellenbrook is well placed for commuters to the city or other northern and southern suburbs of Perth. If you’re looking for a quiet and safe neighbourhood and somewhere you can walk with your family to the beach, this is the house for you! 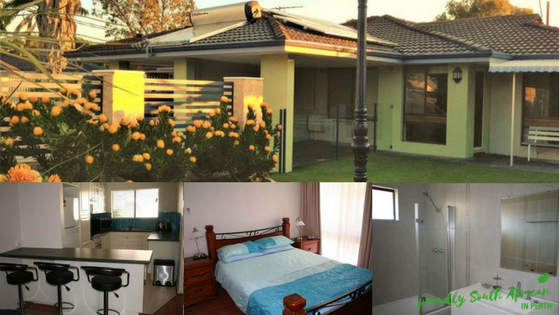 Situated in Quinns Rocks, in the northern suburbs of Perth, it sleeps up to 7 people and is around 40km from the CBD. With Ocean Keys shopping centre nearby and Lakeside Joondalup just a 10 minute drive further, you have everything you need on your doorstep. You can hop on a bus (170m from the property) to take you to Butler or Clarkson Train Stations for a relaxing commute to these shopping centres, or into the city. A few of your comforts will include: fast and free unlimited broadband internet, a gas BBQ, heating/cooling and convenient self-check-in and check-out. Pricing starts from a low $99 per night and there are sometimes last minute or long-term discounts – just talk to the friendly owner, Donovan, about any of your needs. Check availability and book online through Stayz now. This gorgeous character home is situated a stone’s throw from the Swan River. With bustling Burswood and Belmont on your doorstep, you’re also just across the river from the city, making ideal for people attending interviews, or undecided about whether they should live north or south of the river. The home has 2 bedrooms and all the amenities you could need, including a spacious laundry, fully equipped kitchen, Fetch TV, and more. WiFi is also available at the property and they provide a continental breakfast selection on arrival to save you waking up to an empty fridge which is a lovely touch. They offer weekly discounts as well so have a chat with the property manager Sharon before you book – you can book online on Airbnb. Situated just a short walk from the new Butler train station, Blackrock Beauty is ideal for new arrivals wanting to be away from the hustle and bustle of the city, but still within an easy commute. With the train starting at Butler these days, you’re always guaranteed a seat if you’re getting on here! The house has 3 spacious bedrooms, 2 bathrooms and a gourmet kitchen complete with stainless steel appliances, a dishwasher and stone benchtops. If you’re staying during the winter months, you’ll be able to enjoy the cosy wood burning stove. During the summer you’ll be glad to take advantage of the reverse cycle air con too. Outside there is a gas BBQ and a shaded patio for those hot summer days. It has free wifi which is invaluable when you first arrive and will be living on Google and Skype! Check in and out times are flexible by arrangement and the owner Lize is very approachable, so get in touch with her directly if you have any questions. Prices start from $90 a night, there is a $1000 refundable deposit required and a $150 cleaning fee per stay. You can find out more and book this property online here. 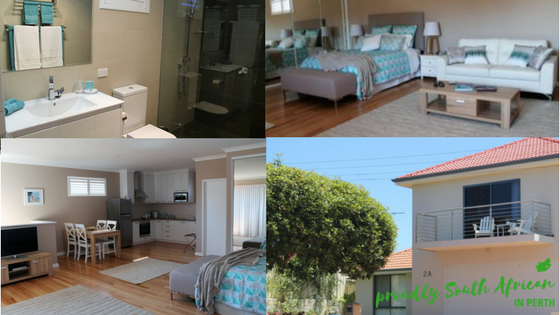 If you want to be close to the city but with a breezy coastal feel of a holiday home, take a look at this 3 bedroom home in Hillarys. It’s been featured on a popular UK TV show, Wanted Down Under, and sleeps 6 guests in 3 bedrooms. It’s less than 5 minutes drive to the Hillarys Marina which has a beautiful beach safe for little ones, shops, restaurants, cafes, bars and fishing spots. It also is home to AQWA (Aquarium of WA) and the Rottnest fast ferry so is great for those wanting a bit of a holiday while settling into their new lives or for family coming to visit that want their own space for a few weeks. The beaches in this area are some of the most beautiful in Perth – you’ve got Mullaloo, Whitfords and Sorrento all within a short drive, plus Whifords Shopping Centre is a short drive or bus ride away. Lots of throughful extras are included, which is great for new arrivals to Australia, such as a cot and high chair for small children. There is internet available (a must for when you land!) and prices start from $145 a night. Contact the owner Liz directly on 0432 766 051 or email lizmills76@hotmail.com to find out more and book your stay. 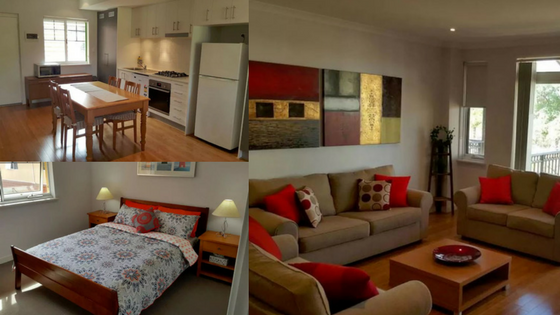 This gorgeous self-contained studio apartment is perfect for couples who are looking for somewhere to start their journey in Perth. Just a short drive and you’ll find yourself in cosmopolitan Fremantle and within 20 minutes you can be in the city. It’s also walking distance to a local shopping centre. The owners live on site which can be a great help if you have any questions during your stay. It includes all the mod cons like air con, washing machine, tumble dryer, free wi-fi and Foxtel. 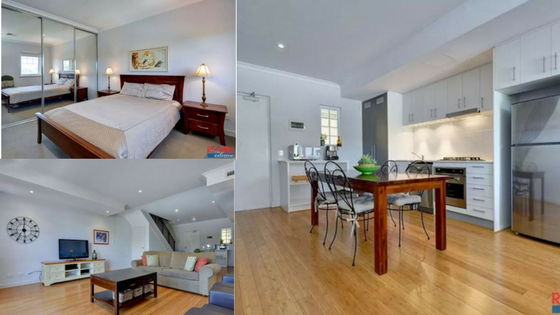 Rates start from $100 per night and there are discounts available for weekly or monthly lets so hop onto their website and get in touch with the owners Marina and Deon today to find out more about booking this property. If you’re looking to ease into your new life in Perth with a holiday feel, the apartments at Hillarys Harbour Resort are just what the doctor ordered. Set right on the gorgeous Hillarys Boat Harbour, there are 1, 2 and 3 bedroom apartments to choose from. Each apartment is fully furnished and self-contained, with secure undercover parking and free Wi-Fi included. The resort also has a range of facilities including a swimming pool, heated spa, sauna and BBQ area. Hillarys is a lovely coastal suburb with easy access to some of the best beaches in Perth. It’s just a 20 minutes drive to the city and has good access to public transport. With Whitfords Shopping Centre 5 minutes away, Hillarys Harbour Resort has everything you could need and more. Take a look at the Hillarys Harbour Resort website for more information on rates and availability. 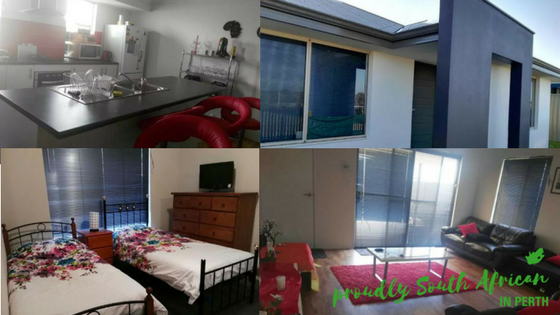 This property in Alkimos offers the option to rent a bedroom or the whole house. The owner Irene is happy to accommodate singles, couples or families and you can choose to rent rooms and share with the owner or take the whole property exclusively. Based in the coastal suburb of Alkimos, it’s great for anyone exploring the northern suburbs of Perth. It’s close to lovely beaches and all major facilities like shopping centres, medical centres, public and private schools and even some predominantly South African churches. Bonus points for lovely South African neighbours and free Wi-Fi! To get in touch with Irene, contact her here for more information regarding rates as it varies depending on how long you stay and how many people are staying. If you’d like to include your property on this list, email me at howzit@proudlysouthafricaninperth.com today. The Cost Of Living In Perth: How Much Do You Need To Survive? 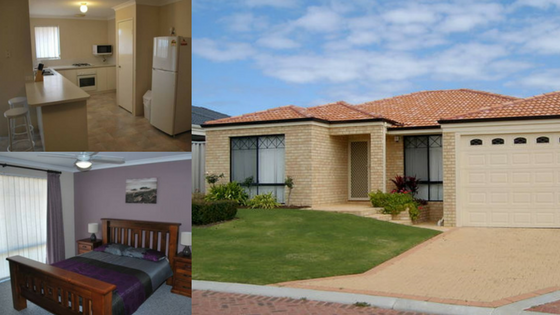 Any short term accomodation in Capel/Busselton area? Looking for accomodation for three/four nights a week for approximately 1 – 3 months.